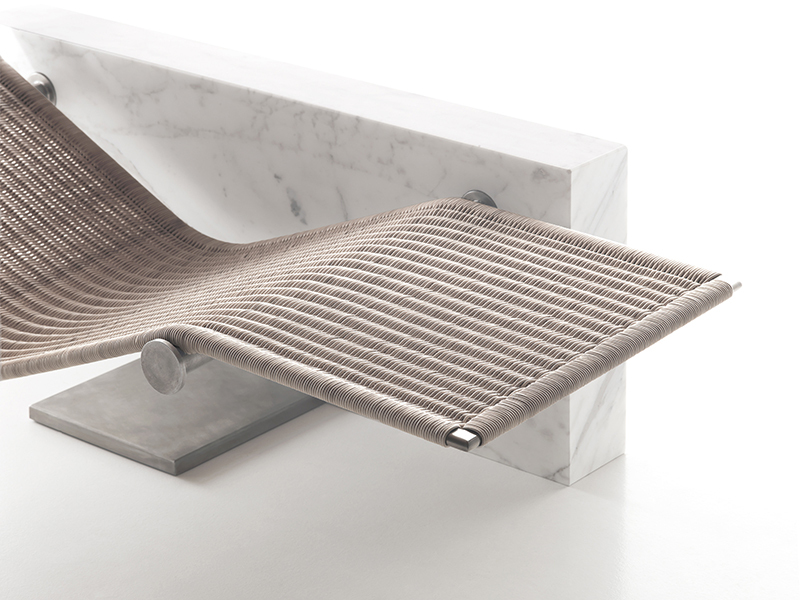 Designed exclusively for Kreoo by Enzo Berti, the Vis a Vis is a refined and relaxing chaise lounge suspended from a marble counterbalance device. 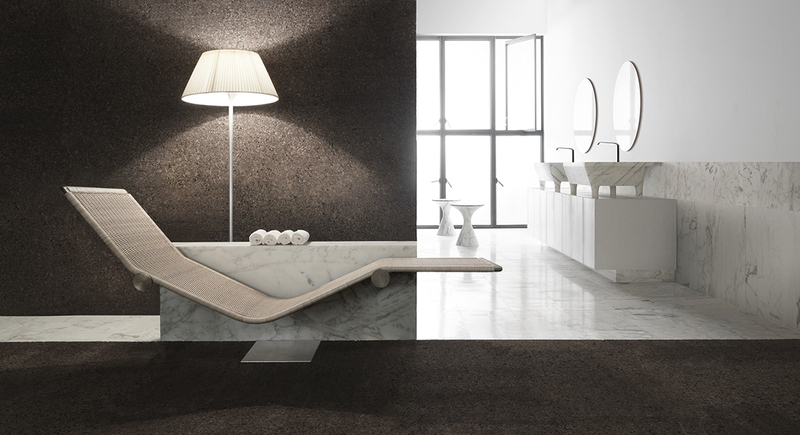 Offered in single or double chaises, this sensual beauty is perfectly angled for total relaxation. It is crafted of steel and covered with a sweeping expanse of natural, hand-woven wicker for indoor use, or woven PVC wicker for outside use and wet areas. 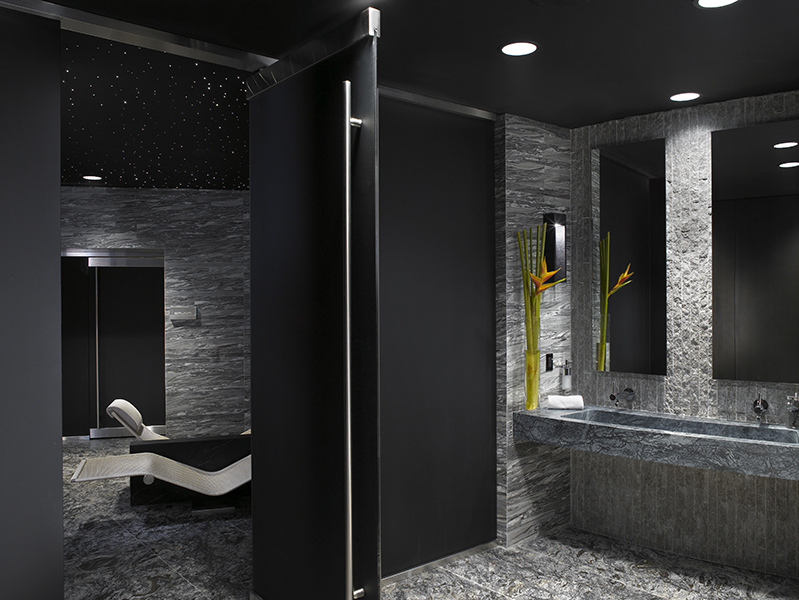 The low marble “wall” can be made in your choice of beautiful Kreoo marble colors to complement your décor.